Session: Skate 4 Made By Fans | Nerd Much? We might just get the Skate game we've been searching for all this time. EA still isn’t making a Skate 4 and fans are slowly losing hope. As such, the folks at creā-ture studios have decided to take the matter into their own hands. Their game is called Session (previously titled Project Session) and centers around the same mechanics as our favorite skateboarding series. Even the controls are similar, with the analog sticks serving for your feet control. There are plenty of tricks to achieve with just these controls, the most common being the good ol’ Ollies. Just remember to put more points into your dexterity, especially when one of things that creā-ture studios has changed, is that you use the controller bumpers to turn. 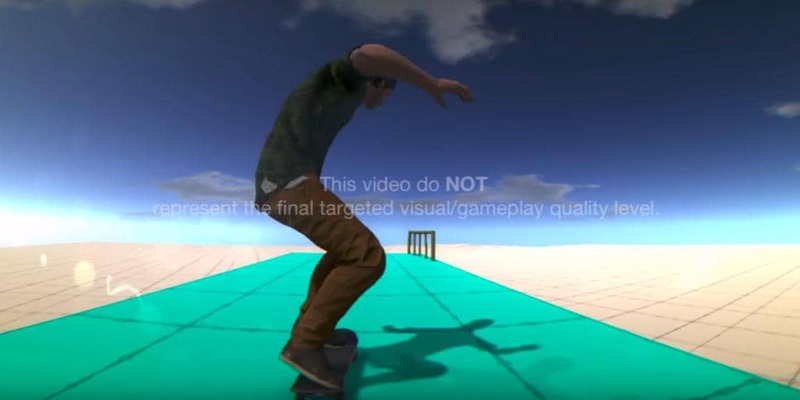 Other changes include an open-world, and creā-ture studios would like to include as many familiar real-life skate brands as possible for players. Session will also be focused on online play, and might not have a single player mode at all. The developers want the game to be about skating with friends and sharing videos of tricks with Session‘s Filmer mode. As to when Session will be launching, creā-ture studios is hoping for a 2018 release. But as you can see in the video above, the game is clearly still very much in deep development. Time and resources are greatly limited, especially because creā-ture studios are working on Session during their free time. A lot of love is certainly going into this game, but there is only so much they can do with what they have. Session will come out eventually, the developers have stated that they would like a functioning demo before they even think about a Kickstarter. Though the moment they do, creā-ture studios is sure to get plenty of funds for Session. The fans are many and varied and might even break as many records as Ashes of Creation has. In addition, none of the folks at creā-ture studios have worked on previous official Skate titles. Though that is probably for the best, I imagine EA has a very tight hold on the legal rights. The current system creā-ture studios plans for Session is on the PC, but they have recently been approved for PS4 and Xbox One. The future is bright with this one, so be sure to keep an eye on creā-ture studios and Session. We might just get the Skate game we’ve been searching for all this time.